Utilities are under cyber threat, so what they can do about it? Critical infrastructure networks are increasingly being targeted by cyber criminals. Utility providers, in particular, are more frequently having to deal with data breaches as hackers look to disrupt or even destroy supply of vital services. Symantec has linked a hacking group called Leafminer to Iran. The group is known to be targeting electric utilities in the United States and has successfully breached several networks using common tools and tactics like phishing emails and so-called watering hole attacks — a strategy in which a hacker infects a legitimate website that its target frequently visits. So serious is the threat that the U.S. Department of Homeland Security set up a new centre devoted to helping protect critical assets — from banks to electric companies to manufacturing plants. It was an important move as U.S. utilities have been under attack for some time. In 2017, Russian hackers, who are still purported to be active, hacked into the U.S. electric grid. As reported by GTM: Russian hackers broke into theoretically secure “air-gapped” utility networks by first accessing the networks of trusted utility vendors, which have special access to update software, run diagnostics and perform other services. DHS claims there were "hundreds of victims." Homeland Security, chief of industrial-control-system analysis, Jonathan Homer said the attackers “got to the point where they could have thrown switches” and disrupted the grid. That very scenario occurred in the U.K. and Ukraine last year through the WannaCry and Petya cyberattacks, which took down the U.K.’s National Health Service and Ukraine’s electricity networks respectively. 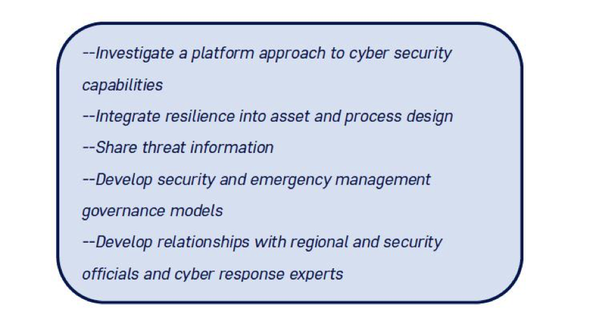 In Australia, the Australian Energy Market Operator ramped up the nation's electricity infrastructure cybersecurity to protect the country’s power network, supported by the Australian Cyber Security Centre in Canberra. The former PM had been kicked out of office by his own Party when the Federal Parliament’s computer network was hacked. It isn’t just hackers that are putting data at risk. Internal failings are also on the rise. Late last year, California utility Pacific Gas and Electric Company(PG&E) was fined US$ 2.7 millionafter it left sensitive information – including hashed passwords for administrators that attackers could have reverse-engineered – exposed to the internet. Data breaches within the utility sector could prove catastrophic at some point, so how can companies mitigate this problem? WhiteHawk, a leading cyber security solutions provider, recently released a whitepaper detailing how cybersecurity officials can identify and address a majority of critical risks in real time through access to affordable risk auditing, rating, alerting, and mitigation services sector-wide. For the full report, click here. In the interim, we’ll summarise the key points. The US has over 3,300 utilities which are increasingly coming under attack. A global survey by management consultant Accenture showed that 49 percent of utility executives believe their country faces a moderate risk of electrical supply interruption from a cyberattack on distribution grids in the next five years. Only 57 percent of those executives thought they were well-prepared for such an attack. The Department of Homeland Security (DHS) and Federal Bureau of Investigation (FBI) officials announced —for the first time—that Russia had beentargeting the energy, electric, nuclear, commercial, water, aviation, and other criticalinfrastructures in the U.S. 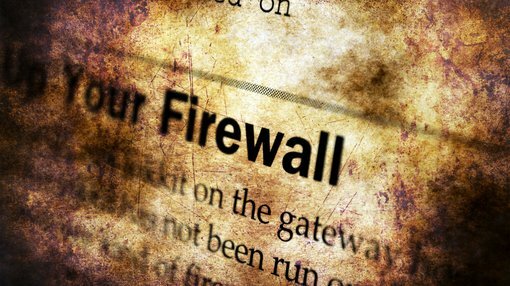 The multi-stage intrusion campaign affected domain controllers,file servers, and email servers. Attacks are becoming more and more sophisticated. However, many small and mid-sized utility companies are under-prepared and particularly vulnerable. Staff shortages or lack of employee training on IT and OT connections, computer security, and active cyber threats increase risks for these companies. Malware:Malware is software designed to covertly operate on a compromised system without the knowledge of the user. Malware can encompass ransomware, spyware, and command and control software. Malware attacks are the best known types of attacks because of their potential to inflict severe damage across a utility architecture. Spear phishing:Spear phishing uses carefully worded emails that sound authentic to the target. The attacker tries to induce the target to open or download an attachment containing malware. Structured Query Language (SQL):SQL is a language designed to manipulate and manage information in a database. It is now regularly found in commercial and open-source databases. SQL injection, or SQLi, is a type of cyberattack that targets databases using specifically crafted SQL statements. The attack induces a system to execute unexpected or undesirable actions. A successful attacker may be able to bypass authentication, infiltrate, steal, modify, corrupt, or delete information, and run an arbitrary code. The attacker may also gain root access to the entire IT business or operational system. Denial-of-Service (DoS):DoS attacks focus on disrupting or preventing legitimate users from accessing websites, applications, devices, or other resources. Criminal organizations have used these attacks to extort money. Activist groups conduct them to further their agenda. And state actors use DoS attacks to retaliate against an enemy. So, now that you know what to look for, how do you mitigate? That’s a big job and could be time restrictive and expensive. Optimize an annual cybersecurity online compliance based self-assessment or risk baseline. Implement affordable access to best of breed cyber risk ratings, continuous monitoring, risk indicator alerting and mitigation services sector wide. Maintain inventory of control system devices. Implement technologies across OT and ICS that identify threat vectors and include the use of honey pots to attract and trap adversaries. Radiflow is a leading provider of cybersecurity for ICS and supervisory control and data acquisition (SCADA) networks in the utility sector. Sandbox Technologies is a software management strategy that isolates applications from critical systems and other programs. Using tools like VMWare or Docker, containers are made to create a disposable sandbox; Linux and Solaris have it built in. Other tools perform process isolation like Black Box (sandbox technology for ICS). Black Box offers a number of solutions for integrating SCADA systems with newer technologies and leveraging existing ones. D3 Security is a single incident management solution that enables situational awareness across cyber threats, risk assessments, and the status of compliance with standards such as North American Electric Reliability Corporation (NERC). CyberSponse CyOPs platform is an enterprise-built security orchestration and security automation workbench that empowers security operation teams. CyOPs provides teams with the means to work smarter and respond in near real time. The platform includes capabilities for triage and investigation of alerts and supports collaboration and remediation between team members. Mission Secure Inc. (MSI) provides an innovative approach and patented software/hardware platform to help power organizations stay ahead of the evolving cyber physical threat curve. Its Secure Sentinel Platform delivers a reliable means of assuring integrity within the operator’s specific system and the ability to take corrective action preventing potentially catastrophic consequences. Cyber attackers or hackers are lurkers, waiting patiently in the shadows before attacking unaware prey. The ongoing challenge, however, is that companies can never fully be aware of when an attack might occur. What they can do is protect their servers, be more vigilant when it comes to cyber protection, commit to frequent tech audits and work hard to identify threats.